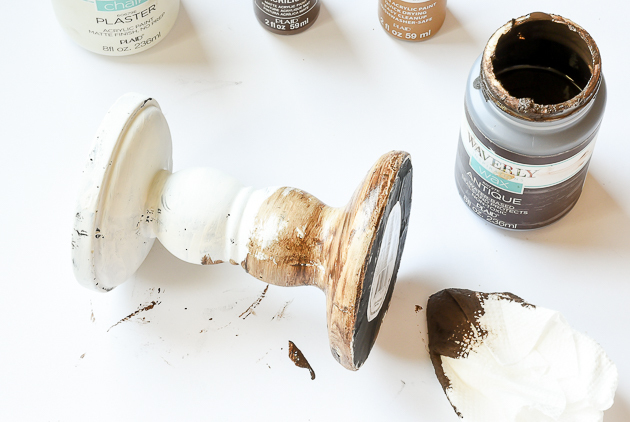 Get the look of stained wood with this super easy painting technique. Do you ever find something at a dollar store, thrift store or on clearance and wish it were a different finish or color? 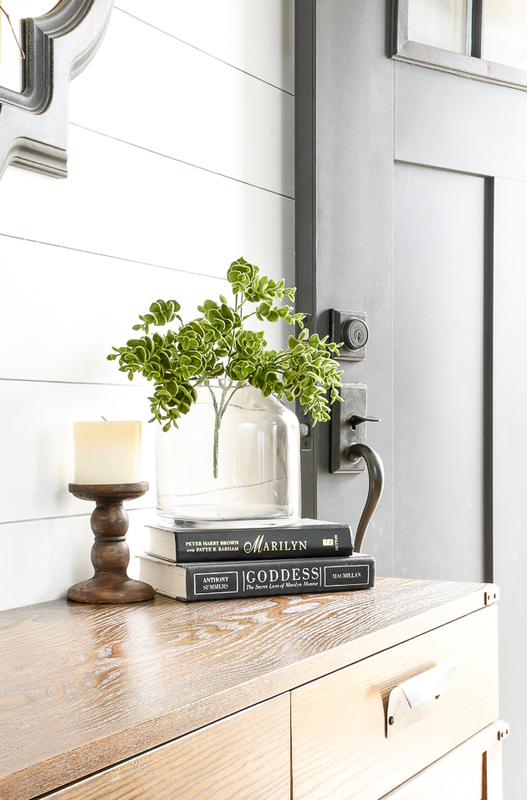 It's easy to repaint something to match your decor, but what if you prefer the look of stained wood instead? 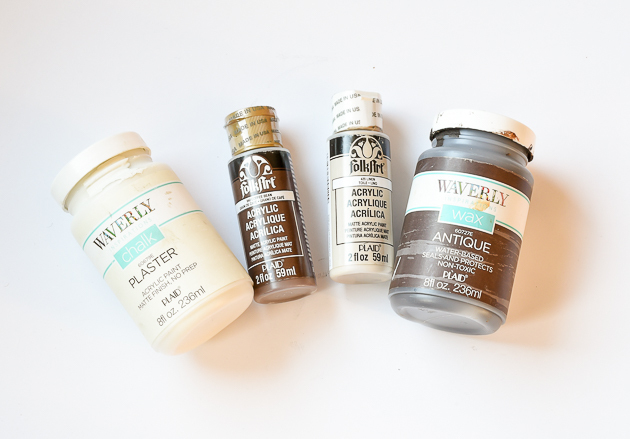 The good news is, you can easily achieve the look of stain using paint in just a few simple steps. 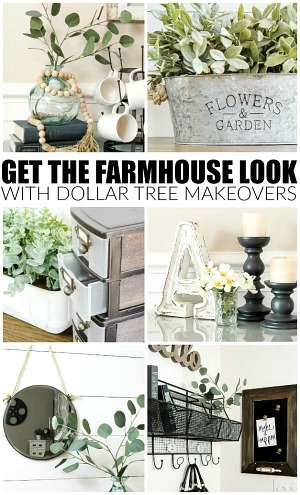 The other week, I shared my recent Dollar Tree purchases and a few new products that caught my eye. 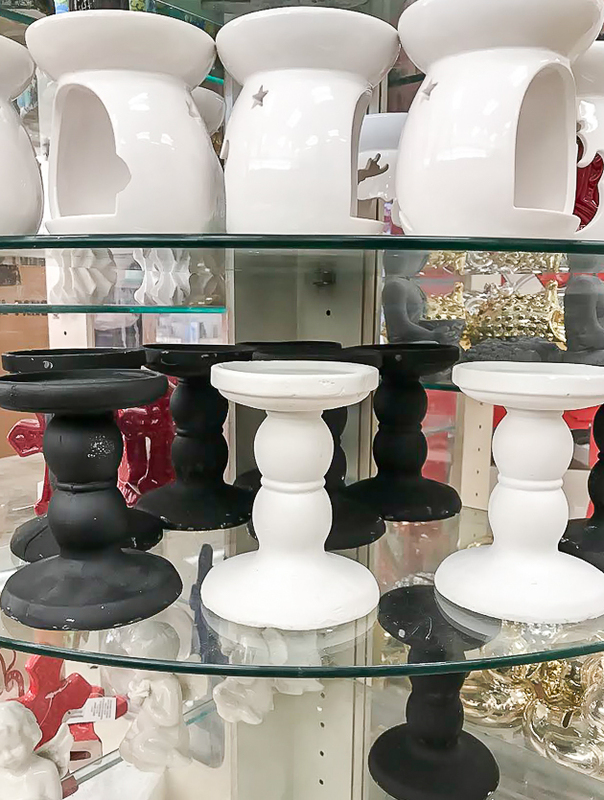 One of those items were black pedestal candle holders that I have been in search of for months. 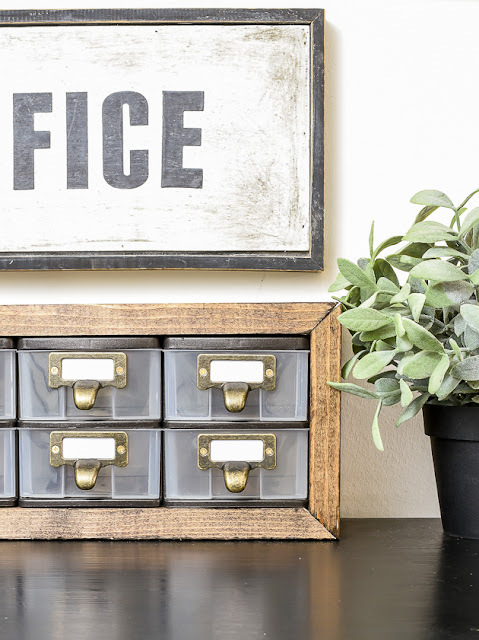 Even though they aren't made of wood (they are more of a plaster material) and they don't have the best reviews, I was still determined to update them to resemble the look of wood. 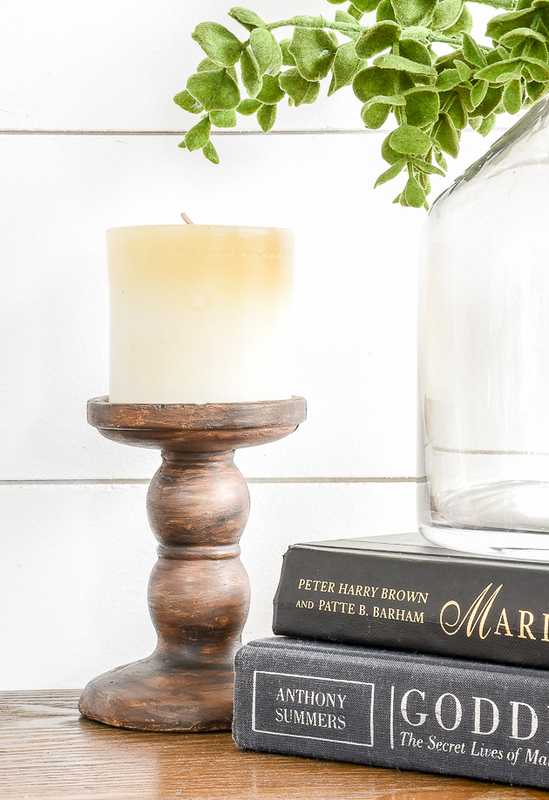 Supplies needed to make inexpensive Dollar Tree pillar candle holders look like stained wood. 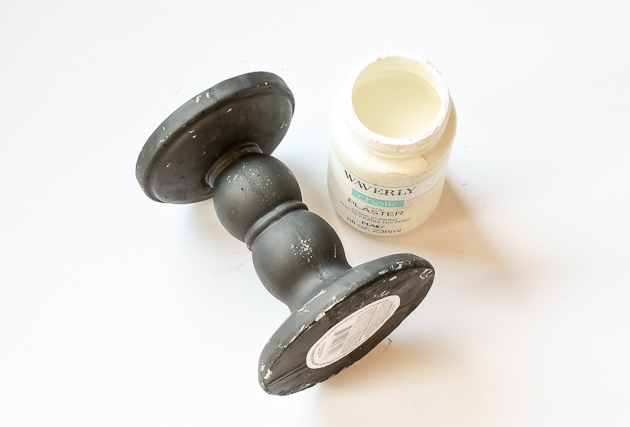 STEP ONE: Give your pedestal candle holders a fresh coat of white, cream or antique white chalk paint then let dry. 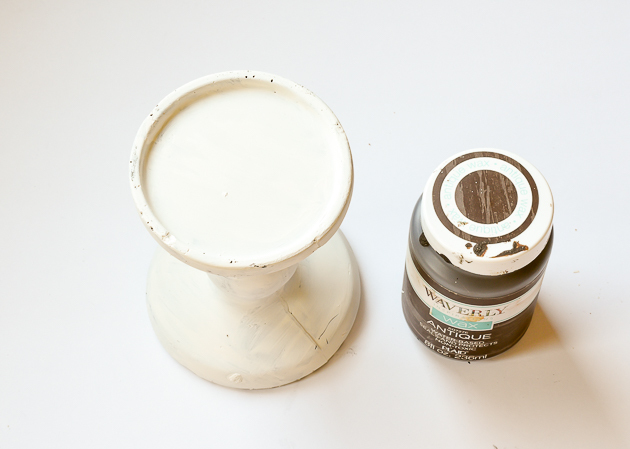 This will give your candlesticks a good base coat and cover any imperfections. 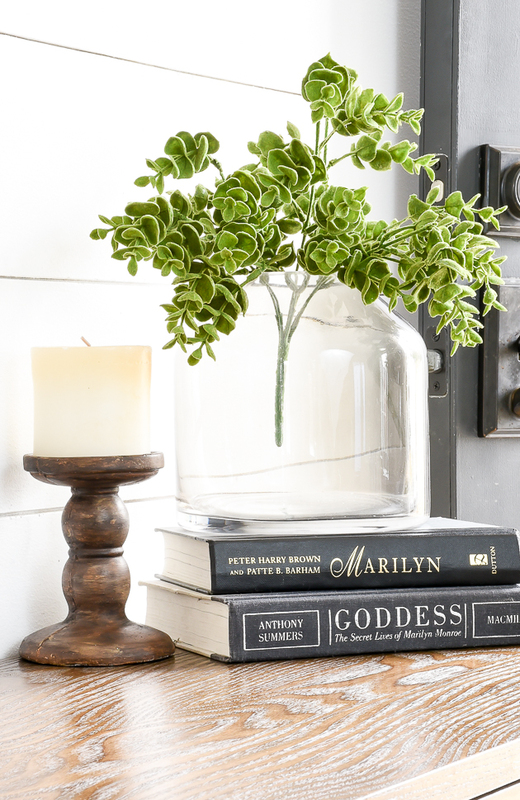 Using a paper towel or old cotton rag, apply antique wax over the entire candle holder and let dry. Make sure to apply a generous amount in the creases where stain would naturally collect. 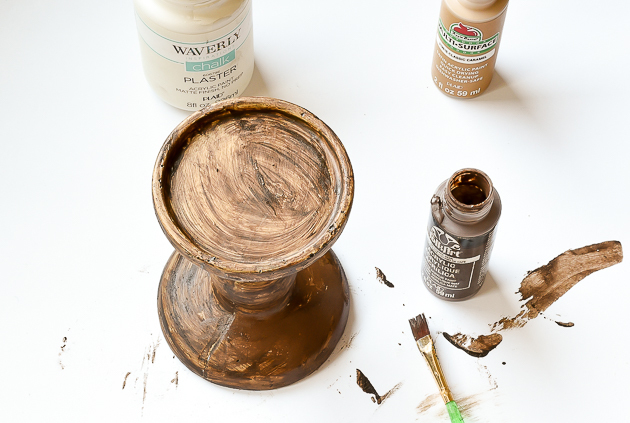 Apply dark brown and light brown craft paint and blend together (while wet) to create the natural look of stain. 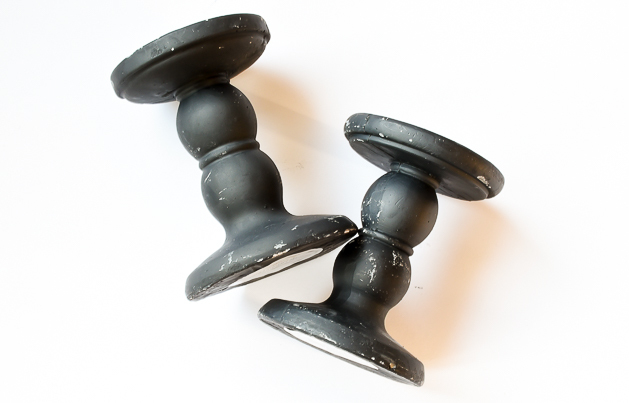 For a darker stained look, let the paint completely dry then blend a bit of black paint sparingly throughout the candle holder. I found it best to dampen a paper towel, dab it into black paint, blot off the access then rub the paint onto the candle holder. Keeping the paint thin and wet allows it to easily blend into the rest of the colors. 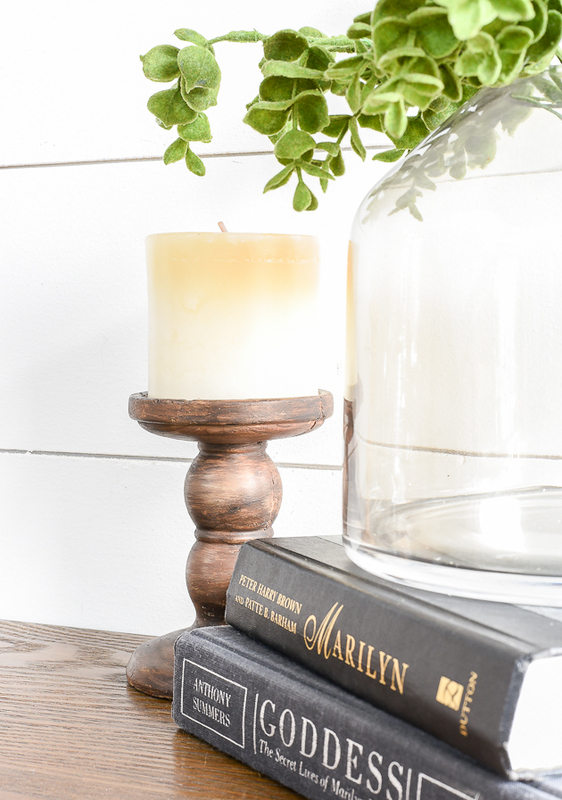 If you prefer an aged or more distressed barn wood look, use gray tones (light and dark) then apply white paint over the candle holder the same way I did the black.. The end result, is a blend of colors that perfectly resembles the look of stained wood. 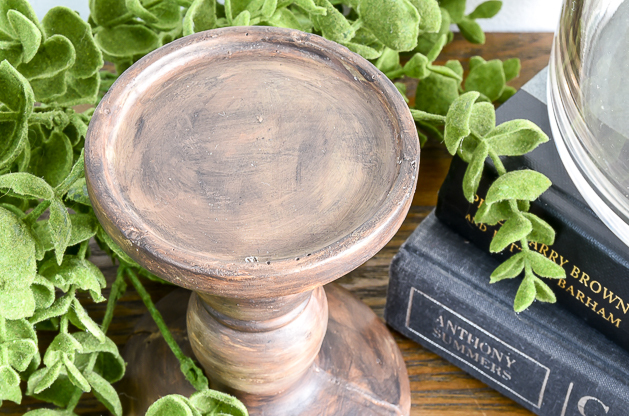 In just a few quick and easy steps, I was able to give cheap looking Dollar Tree pedestal candle holders a more expensive, beautiful stained look. 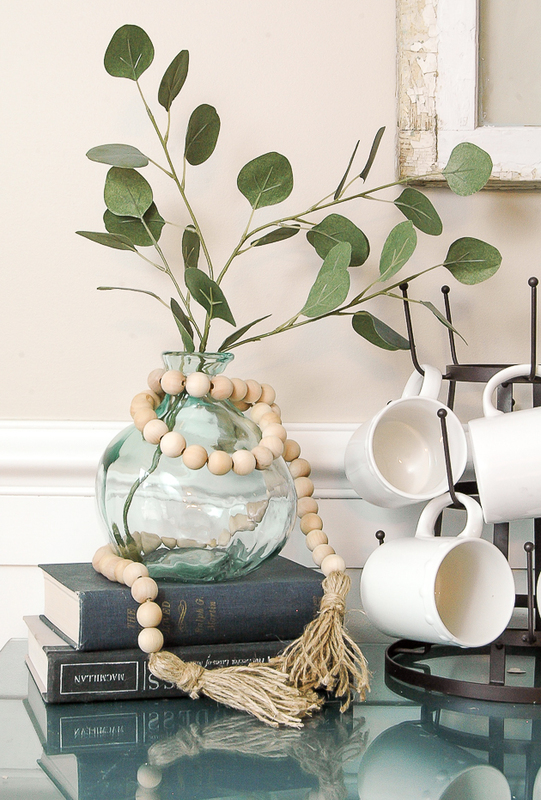 The beauty of this technique is you can make your "stain" any color and use it on almost any type of material or decor piece. The possibilities are endless! Terrific technique! Thanks for the easy step-by-step directions. These candle holders turned out amazing!